Where to Buy Stryker 54 Aerosol, Stryker 54 Aerosol Contact Insect Spray - 15 Oz - $19.95 for Sale with Fast Free Shipping! 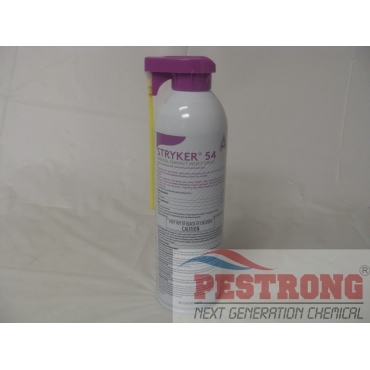 Stryker 54 Aerosol Contact Insect Spray - 15 Oz includes an injector that flushes insects out of cracks and crevices. Bio Gel Pro Kleen Mop Water Additive..
Stryker 54 is useful as an inspection and identification tool. Useful against a WIDE RANGE of pests like ants, bed bugs, moths, flies, cockroaches, mosquitoes, spiders, etc.